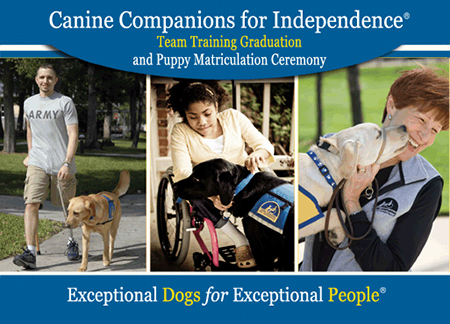 Canine Companions for Independence's graduation ceremonies represent the culmination of hard work, love and dedication of a great many people. Graduations are held four times annually in the Southeast Region and are open to the public, except on occasion when the ceremony is held at a special venue. 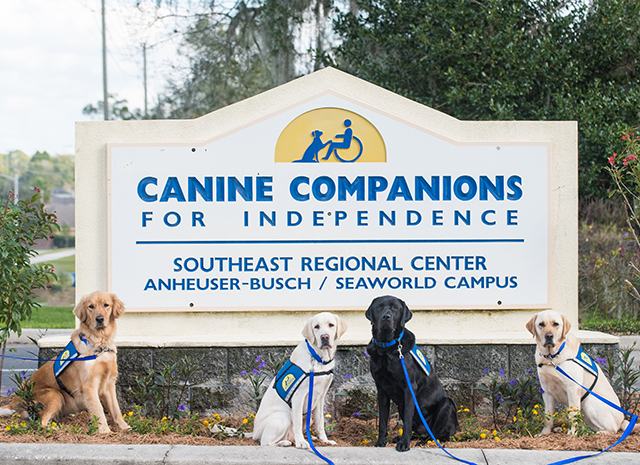 Join the new Canine Companions for Independence graduates and their new assistance dogs as they team up and embark on their new lives with enhanced independence and cheer on the newest puppies matriculating into professional training. Please click here to register for the May Hearing Dog Graduation Ceremony. Watch the Southeast Graduation Ceremonies Live! Click here to view past Southeast graduation ceremonies.